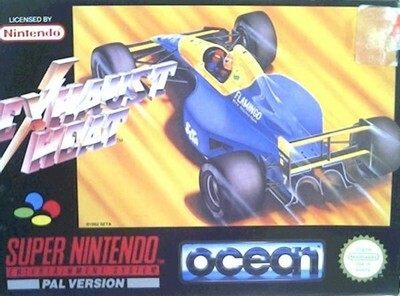 Exhaust Heat (or F1 Roc in the states) is one of the best racing games for the Super Nintendo. Oh, and by the way I put the 10 great SNES brawl games on ice for a while, but it will turn up sooner or later! Back to Exhaust Heat. The game features an unique car customization feature where you can change the performance of the formula one car in many ways. you can swap the transmission, wheels, nitro and wings and much more. This is an awesome feature for such an old game. Run out and fetch yourself a copy of Exhaust Heat, you won't regret it!